How do beetles fly, breathe, or breed? 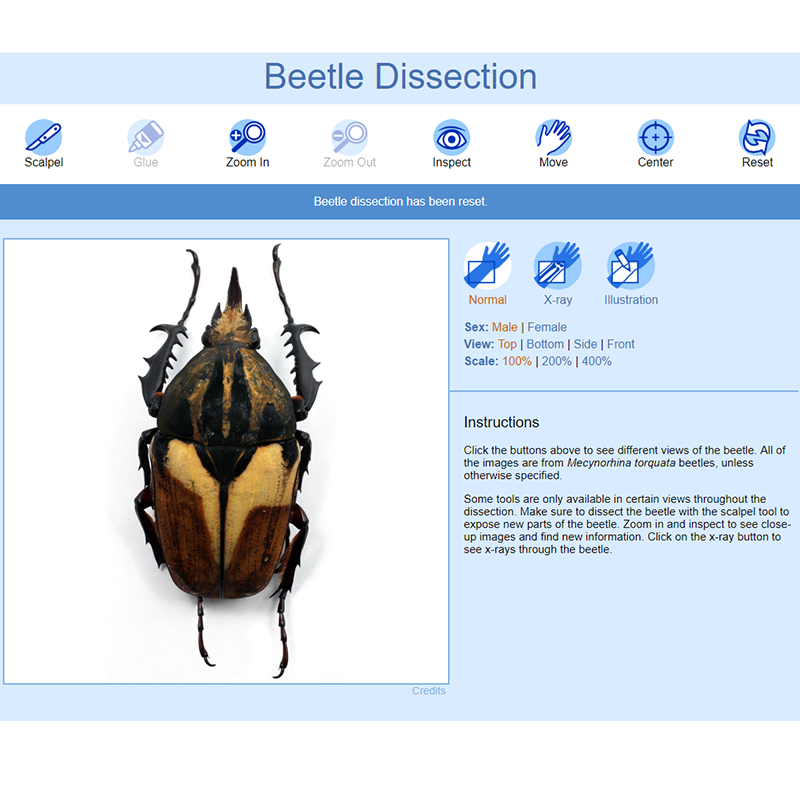 Beetle Dissection is an educational game that allows users to explore the world inside of a beetle body with interactive illustrations, photographs, and x-rays. Developers and researchers at Arizona State University created Beetle Dissection to inspire learners of all ages to discover how anatomy and physiology interact. The html5 game is paired with stories, activities, and worksheets, as well as a pre-designed classroom lesson.